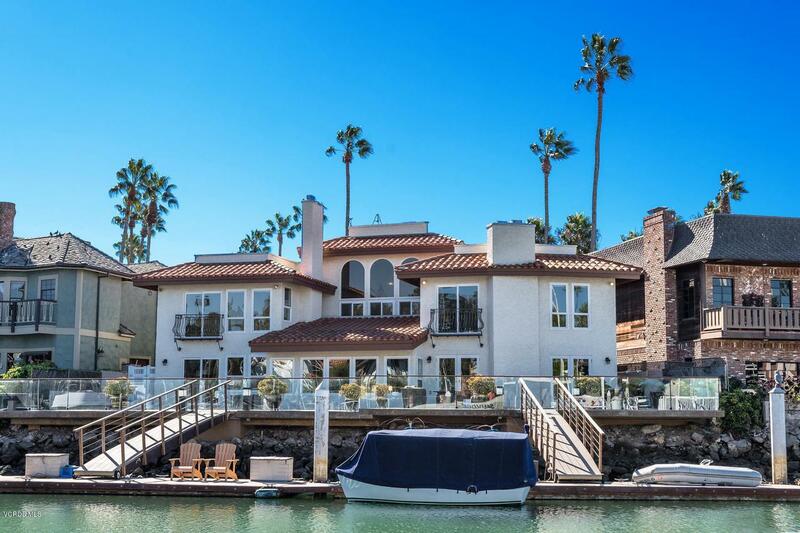 Ventura Keys Waterfront Home with 80(+) foot boat dock! 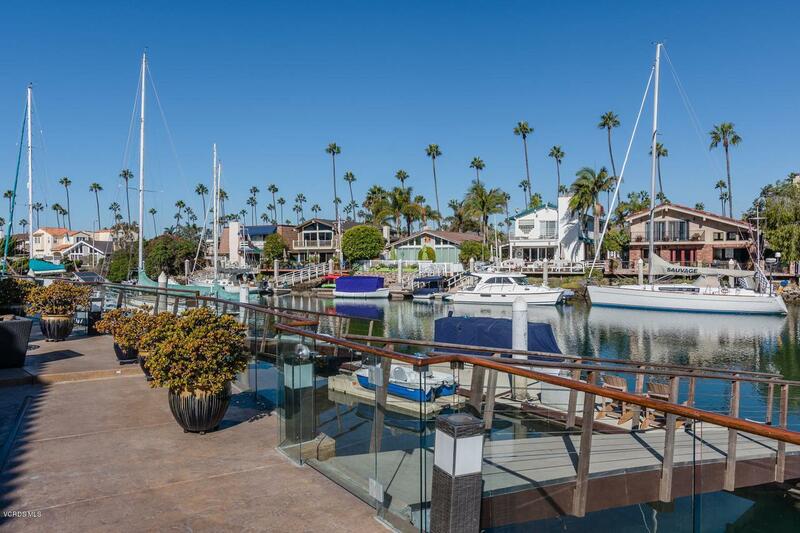 The large waterfront deck was expanded by the current owners, and has ample room for a barbecue and outdoor furniture, and a swimming pool with jacuzzi! It makes for gracious waterfront living. This custom home was built in 1979 and nicely remodeled. The rooms are large with high ceilings and a view of the water from most rooms. It is light and bright and has a great open floor plan. French doors lead from the living area to the deck. 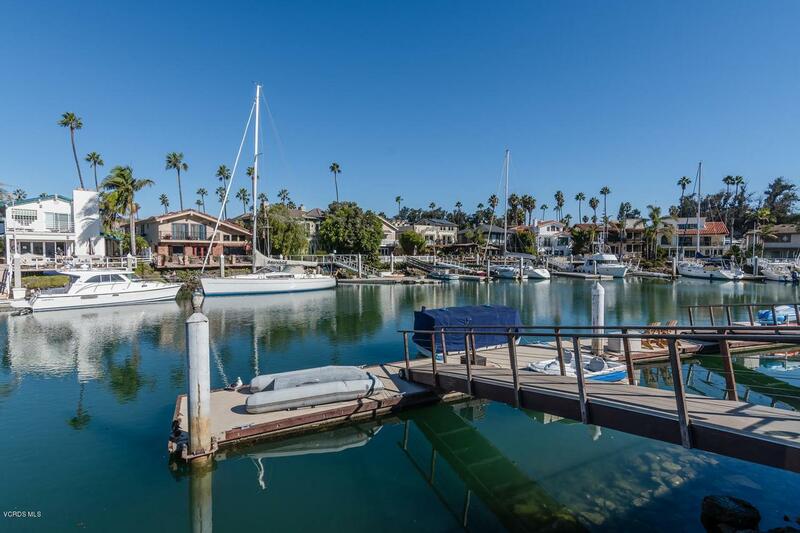 Other features include: 4 fireplaces, a 4-car garage, granite counters and top of the line appliances in the kitchen...and much more!Besides the large boat dock, boaters will appreciate the sheltered location and the nice turning basin near-by. And when a change of scenery is needed, there's the beach within easy walking distance from this home. 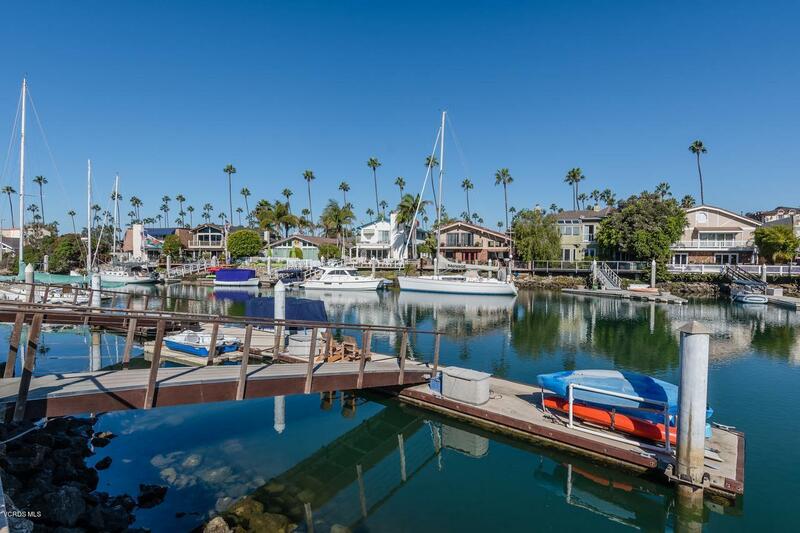 It is also conveniently located close to the State Park, and miles of bike paths along the water.To enjoy coastal living in wonderful Ventura this is the home you will want to own! Sold by Ryan Slaton BRE#00825350 of Re/Max Gold Coast Realtors. Listing provided courtesy of Buki Burke DRE#00825350 of Berkshire Hathaway Homeservices California Properties.